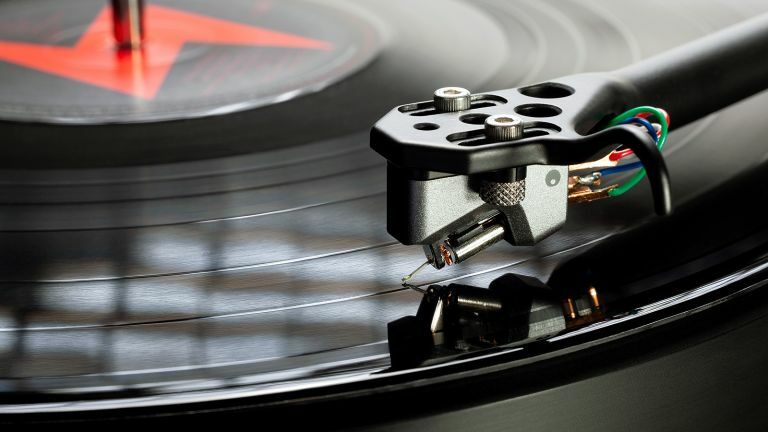 If you've been thinking of making the first move into analogue musical appreciation, but are baffled by the choice of turntables available, we have a possible solution: a big list of turntables, starting with our favourites, and then continuing with more great choices arranged in descending order of price. All you need to do is work out your budget and pick a player. We have listed our favourites at 10 key price points from £150 to around £5000 and there are Bluetooth wireless record players, USB record players, DJ decks and more. Now, finding the best record player is no longer like looking for a stylus in a hay stack. On,, and Record Store Day? That is next Saturday April 13 and already we see that Bananarama have released a special remix of Venus for it. That's how prestigious it is, and why it's rapidly become an institution, propelling the resurgence of vinyl, and helping to keep the dwindling band of shops that sell records and other physical media alive. Slightly easier setup and nicer looks means we narrowly favour this over those other mid-market perennials the Rega Planar 1 and Audio-Technica AT-LP5. Setup is a mite fiddlesome – you have to attach not one but two counterweights to the tone arm, and fitting the rubber band that drives the turntable doesn't feel terribly futuristic, either. However, once you're done the Pro-Ject Essential III sounds great for the money, with a truly expansive and enjoyable sound across a range of genres and volume levels. It also looks very pleasing, in a variety of high gloss finishes. A Bluetooth version – Pro-Ject Essential III BT – is also available for £320. Unlike the Alva TT (below) and Audio-Technica's AT-LP60XBT (further below) it's only SBC Bluetooth but it sounds remarkably good, all things considered, and obviously setup, in terms of placement, is rendered far simpler when no audio cables are required. There have been Bluetooth turntables before but this one is the real game changer because it uses an exhausting array of analogue-to-digital trickery, plus aptX HD to give hi-res/better-than-CD-quality sound, wirelessly. Bluetooth setup is a little fiddly but once you've paired your headphones and wireless speakers or receiver (we used a Naim Uniti Atom plugged into a pair of Monitor Audio Silver speakers), and figured out how to switch from one to the other, you're pretty much set for life. You could argue that there are £1500 turntables out there that sound better, but if you want fantastic audio without having to worry at all about where you place your record player, the Alva-TT could be your dream machine. The original range of Technics SL1200 and SL1210 – the only major difference between them was the former was silver and the latter black – rightly became iconic as rock-solid DJ turntables. That Technics has now reinvented them as high-end, high-price retro-fetish items seems a bit odd, then. You can still buy old SL1210s online that will probably work fine – those things were built to last – or you could spend a grand more and get this (or 2 grand more and get the even more upmarket SL-1210G). However, while we wouldn't take this out clubbing, it most definitely sounds better than the old classics, despite having similarly great, timeless looks. It's the ultimate deck for gently maturing ravers. McIntosh gear is on the pricier end of the scale, and this is actually entry level by its standards. Very simple to setup, it's a truly epic sounding deck. Unlike McIntosh's other turntables, which look like something from a mad scientist's lab, this just looks like a record player, too, which is a bonus. You could argue it's hard to justify paying this much for a turntable when you can get the fully wireless, similarly desirable looking Cambridge Audio Alva-TT for several thousand less, but if you have the money, a suitably high-end stereo to plug it into and 'golden ears', you may find the step up in cost worthwhile. Leaping a couple of grand further up the desirability scale, this is a comparatively affordable audiophile turntable from the US of A. Sitting a massive, revolving, lump of aluminium on top of a hefty slab of steel-plated MDF, the Prime Scout offers epic stability and acoustic damping, with a 500RPM AC motor and Teflon bearing also keeping the noise right down. The JMW-9 tonearm, on its low friction bearing, offers 'all the advantages of a unipivot tonearm at an extremely competitive price,' and can be removed and replaced with another in seconds, for 'instant cartridge changes'. Clearly, this is rather a more serious proposition than some of the other turntables in the list, but it's pleasingly easy to setup and sounds terrific. Project dominates the UK entry to mid-price turntable market thanks to its tie up with Richer Sounds, and the fact that its products are jolly good. This slightly offbeat special edition boasts a carbon fibre tonearm of the same type used on certain high-end Linn turntables, and an acrylic platter, sat on a high gloss plinth of purest, er, MDF. Well, all of these materials are deemed highly favourable to the sonic results, you see. Whatever the science of it, the result is a belt-driven turntable with a superb, focussed sound and a highly attractive look. Both build and audio are like what you'd expect from a much pricier deck. A cartridge is included, but there's no pre-amping here. Probably the best of the new wave of USB turntables, this Sony one lets you rip MP3, lossless or hi-res audio, with unusually good, bespoke software. To be honest, you can rip at high resolution from any turntable with the right app, but this one actually justifies the effort with the quality of its output. Even if you're just ripping to MP3, or even – bizarre, I know – using it to listen to records on, via the digital or phono-level audio outputs, sonic results are big, detailed and consistently impressive. A great bit of kit, and unlike many USB decks, it actually looks like a record player. If the last few entries were sonically impressive but rather costly, this is where we start hitting the cost-to-benefit sweet spot: this thing is built like a battleship, sounds wonderous, yet is eminently affordable. This direct-drive turntable comes with the 'exclusive high-performance' AT95EX cartridge fitted to a J-shaped tonearm that allegedly helps minimise tracking errors. It's very solid, anyway. As with the other Audio-Technica deck in this list, you have the choice of line or phono level output, but here there's also a USB output for vinyl-ripping japes. Pouring all this Japanese brand's 60 years of turntable expertise into one mid-price device, the AT-LP5 should give pleasure for decades to come, and could also conceivably survive a nuclear attack. Long-time UK knights of the turntable, Rega continue to turn out excellent entries in the low-to-mid-range area. The Planar 1 is multi-award-winning, with a very refined sound, yet eminently affordable. Setup can be a little 'odd' as Rega does not use an earthing wire, unlike the majority of turntables. This should make things simpler but in some houses you may find you get mains hum, which can prove difficult to resolve. As this is more of a 'proper' hi-fi deck, there's no built-in pre-amp here, so you will need to buy a separate one, or possess an amp that includes a phono stage. The price may be entry level but the sound is most certainly not. DJ turntables used to be a huge market, and there are still brands gamely trying to take on the market-dominating Technics SL-1200 and 1210, despite over 40 years of consistent failure to do so. Chief amongst these are Stanton and Numark, who serve up this multi-speed, deck for a tonne. It is decidedly plasticky but has a bit of heft to it, and setup is simple, because the output is line level rather than requiring a phono pre-amp. That said, output is on the quiet side, but feed it through a half decent mixer, into an amp, and you get perfectly acceptable results, for the money. It's definitely more of a house deck than a hip-hop one – don't even think about scratching with it; you'll ruin your records and the needle. I wouldn't say we're quite in the realm of 'proper hi-fi' with this turntable, which retails around the £200 mark. However, we could be said to be at its borders, having our passport eyed suspiciously by a man in a blue uniform. The die-cast aluminium platter, thick, vibration-quelling rubber mat and damped bass for reducing bass feedback are all hallmarks of a more grown-up record player, and sound quality is again a noticeable step up from the cheaper models. Setup remains easy, but here you have the switchable option of line level or phono level output. The cartridge is easily replaceable with a range of others, should you want to tweak its sonic characteristics. Audio-Technica also does the AT-LPX60BT which is quite a similar record player, costs £170 and includes aptX and AAC Bluetooth for massively convenient connectivity and setup – being wireless means you can place it anywhere you like, without having to worry about where your Bluetooth speaker or amp is. Not the most attractive turntable ever to roll off a production line, this Marantz is nonetheless a solid bargain. Again, it has a cartridge included and outputs at line level, so no phono pre-amp is required. Given its small footprint, that helps make setup a doddle. Audio is a noticeable step up from the first two turntables, although still by no means 'haiigh-faiigh', but what makes it really cherishable is that the the tone-arm moves onto the record on its own, at the press of a button. Then, when it reaches the end of the side, it lifts off and returns to base, rather than sticking in the run-out groove and making a static-y noise indefinitely. Unfortunately, however, it stubbornly refuses to turn the record over for you.